When deciding to sell, it’s important to think about your objectives. Why are you selling? When is the best time to sell? How much money do you expect to receive? Figuring this out early, with your REALTOR® will help you make the right choices. In general, people sell their homes for reasons involving their employment, their family, their financial position, or lifestyle. You could be relocated for work, you could get married, or have a baby, you could be in the midst of a strong sellers market and wish to take advantage, or you may have a change in priorities, and may need a different style home. If you have to move to another city for work, the answer will likely be “right away!” For most people, there is some flexibility. The dual goal is to sell it as quickly as possible for the highest price possible. Discuss your specific requirements with your REALTOR® who can help you determine an asking price that could help to meet your timeline. With your REALTOR® discuss cycles in the housing market. You may have heard the terms “buyer’s market” or “seller’s market”. Make sure to talk to your REALTOR® about the current marketplace conditions so you have a good understanding of what to expect. Home selling can also be affected by seasons. For example, buyers may not be willing to walk through snow drifts to look at a home. But you’ll likely be competing against fewer homes. On the other side of the coin, spring tends to be a busy time for real estate. Grass is growing, and flowers are blooming. Parents of school-aged kids are more keen to buy in the spring so moving can be done after school lets out. 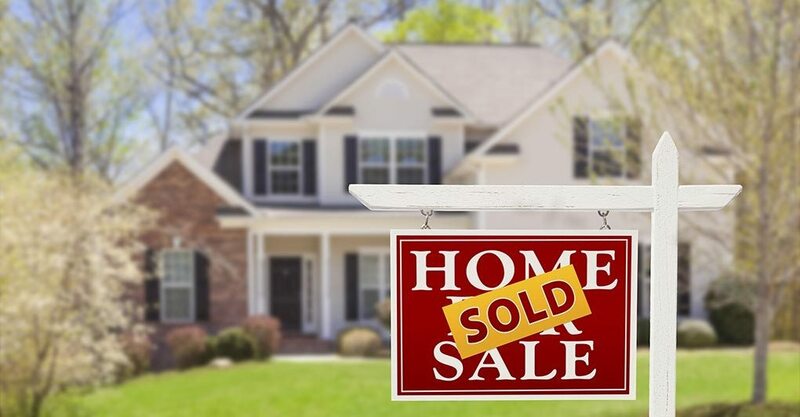 Many people, with help from their REALTOR® and lawyer, are able to make the buy and sell dates coincide in such a way that you can essentially move from one home to the next. This helps avoids extra costs like a motel, or storage for your belongings. You can also make your offer on your new home conditional on the sale of your current home. That way if the sale of your home falls through, you are not obligated to continue with that purchase. Also, you can negotiate for a longer “closing period” to finish the sale of your home. Sell with a REALTOR®’s help, or go it alone? Have you ever considered fixing your own car? You could easily buy the parts and tools needed. However most of us don’t have the time, or knowledge needed to do the job. The same can be said for selling your home. It is a complex procedure involving a lot of money, and a lot of very rigorous legal requirements. Without the knowledge and experience that a REALTOR® provides, there is a real chance for very costly mistakes. Most of those who sell their homes in Canada do so with the assistance of a REALTOR®. The few who try it alone very often change their minds and end up going with a REALTOR® because the process is too complex, time consuming, and risky without the help of a professional. Take your time and find the REALTOR® who you feel most comfortable with. The process of selling a home is a lengthy one with the potential for some ups and downs. Having the right REALTOR® in your corner will make the process that much easier. Listing your home is a two step process. Part one is a contract, while the second part is a collection of information. The Listing Agreement is a the contract between you and the real estate agency. It allows the agency and its salespeople to market your property. It also forms the basis for drafting an offer on your home, and the negotiations involving the offer. During the collection of information a REALTOR® gathers information about your home that will help to gain exposure with potential buyers. Unless you’ve opted for an exclusive listing, this information will be submitted to the Multiple Listing Service® (MLS®).This information is also used by REALTORs® in answering questions and inquiries from prospective buyers. In most cases your REALTOR® will recommend that you list your home through MLS® as this way your home will receive the maximum exposure in the shortest amount of time. One of the most important decisions you will make during the process of selling your home is deciding with your REALTOR® how much the home will be listed for. The first few weeks of the listing are the most important. The goal is to choose a price that is reflects the market value. A home can only fetch the sale price that buyers are willing to pay. This is something that takes a comprehensive understanding of the market. Something your REALTOR® is an expert at. They will work to find the market value of your home, and with that information help you decide on an asking price. How can you help sell your house? You also need to gather all relevant documents. The your mortgage documents, tax assessments and utility receipts are all things that are needed during the process of selling your home. Utility receipts and a land survey may be needed during the sale process as the potential buyer may request that information. Selling your home takes teamwork and a spirit of cooperation to make it happen. Your REALTOR® is a valuable member of your team, and your help and support will ensure that their efforts result in a successful sale. It’s time to think like a buyer. “What can I do to make my home look appealing to prospective buyers?”. Clean everything. Literally everything. Take a tour of your house and make a note of every opportunity to remove clutter and dirt. Spaces will look bigger if you remove unnecessary stuff. Use this as an opportunity to declutter. With each questionable item of ‘stuff” you find, ask yourself “Have I used this in the last 6 months? Or will I use it soon?” If the answer is “no”, get rid of it. This is a twofold benefit as your home will look more inviting, and you’ll have less to move. There are a few elements that can be included in an effective marketing plan. The most direct of these is the For Sale sign. It’s on duty 24/7 and is most sought by potential buyers. Your REALTOR® may also use several other options such as digital and social marketing, and standard advertising. Your REALTOR® is required to present you every offer submitted on your property. While they are working for you, they are an intermediary between you and the buyer, and will allow you to look at each offer with as little emotion as possible. With any offer, you have three options: Accept it, Reject it, or “sign it back” with a counter offer. If you accept, you have made a legally binding contract to sell your home, subject to any conditions. If you reject the offer, the buyer may choose to submit another offer. If you “sign back” changes, the buyer then has the option of accepting your terms, rejecting them, or submitting yet another counter offer. Your lawyer will carefully review the Agreement, noting any conditions that exist. If you are responsible for any conditions, your lawyer will discuss that with you. Once those have been met, your lawyer will get her the documents needed to complete the transaction and. Transfer title to the new owner. Your lawyer will draw up paperwork regarding your mortgage and if it is to be paid off from proceeds of the sale. Once that paperwork is completed, they are also tasked with distribution of the proceeds from the sale.That includes discharging the mortgage, paying all costs according to the statement of adjustment,and give you a cheque for the net proceeds. Finally, your lawyer will send you a letter setting out the services that were performed, and giving you and documents from the transaction for our files. Congratulations! Your home is sold. You can use the proceeds from the sale to purchase your next property, and you’ve contributed to one of the best long term investments you will ever make.